Bookish Lifestyle: How to start a successful Society6/RedBubble store and NOT piss off a whole lot of people. How to start a successful Society6/RedBubble store and NOT piss off a whole lot of people. This was going to be a a RANT. I have been very frustrated with people who either have been stealing my designs and posting them in their own stores, or have been a bit too inspired by them to create something original. It's been a long couple of months for me, nothing's been going right, and between my computer getting fried, me losing a big chunk of my old design, someone hacking into both my Society6 store and RedBubble and deleting them, and the stressful big move to Santa Fe that is quickly approaching (June), I have been so stressed, I have been having panic attacks. My anxiety level is through the roof right now, and the last thing I want to be dealing with is people stealing and copying me (and not only me). That being said, I decided not to out the person publicly. Most of you know who it is that is causing both me and my lovely friend Lauren from BookwormBoutique such huge grief right now. Those of you who don't.. well, I guess you really don't need to know. I see no point in naming names, it would be to relieve my own frustration right now, and while it could work, I just.. I am not that person, you know? No matter how much something hurts me, I choose to look past and try to really see the person behind it. Some people call it empathy, I call it being naive. So, instead of a grief and disappointment fueled rant, I am going to write a post about what I think is awesome, what I think is OK, and what I think is unacceptable when it comes to designing bookish merchandise (and not only for stores like Society6). Bookish merchandise has become very popular and trendy in the past one-two years, and that is amazing. I personally love all sorts of bookish stuff, from book-inspired candles, bookmarks, tees and other Society 6/RedBubble stuff, teas to jewelry and more. 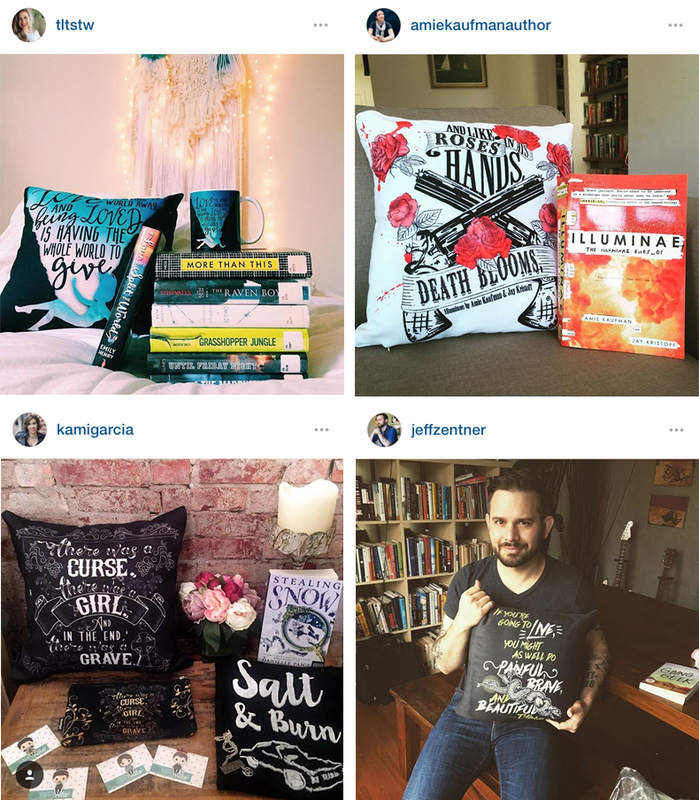 These things are just an amazing way of showing your love and support for a book/author, and I love incorporating different products in my bookstagram photos. Plus, it's important to me that I get to support small businesses this way. However, with so many new stores and businesses popping up like mushrooms after the rain, it is important to make a clear distinction between being inspired by someone to start and do your own thing, and copying someone else's hard work in hopes of becoming popular and successful yourself. In fact, this is the first question you should be asking yourself before you even start doing anything. Am I inspired by someone else's awesome work to create something myself, or am I just copying their stuff, slightly tweaking it here and there to make it look similar and yet different? The first thing is amazing, and anyone who ever inspired someone else to do something amazing will tell you that it's flattering and wonderful. It feels good. The second thing, on the other hand, feels horrible to the person who is being copied. It feels like someone is stealing your hard work. It feels like a violation. It just doesn't feel OKAY. And it isn't OKAY. It is never OKAY. I feel like with bookish merch like candles or bookmarks it is a bit easier to tell if someone is copying someone else. The whole copyright infringement issue gets a bit more complicated and blurred around the edges where digital designs are concerned, because we, professional designers, use the same resources. We shop at the same places for fonts and graphic resources. There is also a limited number of sayings and tag lines bookish people use, and it's not like any one of us can claim to own the rights to, say, #bookstagram, right? It's a widely used tagline on Instagram, after all. We all say "just read", "shhh.. I'm reading" etc. It's just OUR thing. HOWEVER, I believe it is important to create original artwork, even if you feel like you want to design a saying or tag line that someone else already designed. For example, if I have a design saying "just read" and it is designed in a floral wreath, please don't design your own "just read" in an almost identical font, in a floral wreath as well. I believe that is being a copy-cat, and it is certainly not creative on your part. I was inspired to create my own bookish store on Society6 by two people - one was Lauren from The Bookworm Boutique (she is awesome!) and the other person was a designer I bought a fox mug from (don't remember the name, sorry! ), even before I found Lauren's store. I thought it would be amazing to be able to do something like this, especially since I was already a designer and I knew how to work with Adobe Illustrator and Photoshop. I really loved and admired Lauren's designs - I still do, every day! - but I made it a point not to do my own designs in similar "fashion". I made it a point not to use the same sayings she did, even though they were amazing and brilliant, and I envied her creativity. I didn't want to be a copy-cat myself. I wanted to do something new, creative, something other people will come to me for because I am the only one who has it. Even though some of what Lauren designed were common sayings like "I read past my bedtime", I didn't think it was acceptable for me to design the same or similar saying, because in my mind, this design was hers. I truly believe that people need to think twice about what they want to design and HOW they want to design it. There's more than just the copyright infringement aspect to it, there's also a moral aspect to it. It needs to feel good to design something. If you have any doubt about your design being too similar to something you saw and liked, don't do it. If you think something you're creating isn't 100% yours and could potentially hurt someone or get you in trouble, don't do it. If it doesn't feel 100% right, just don't do it. Copyright infringement is a serious thing. You don't want to be dealing with law suits and penalties, because from I heard, they can be seriously hefty. But it's about having your designing resources PROPERLY LICENSED. It's extremely important to use your designing resources properly. 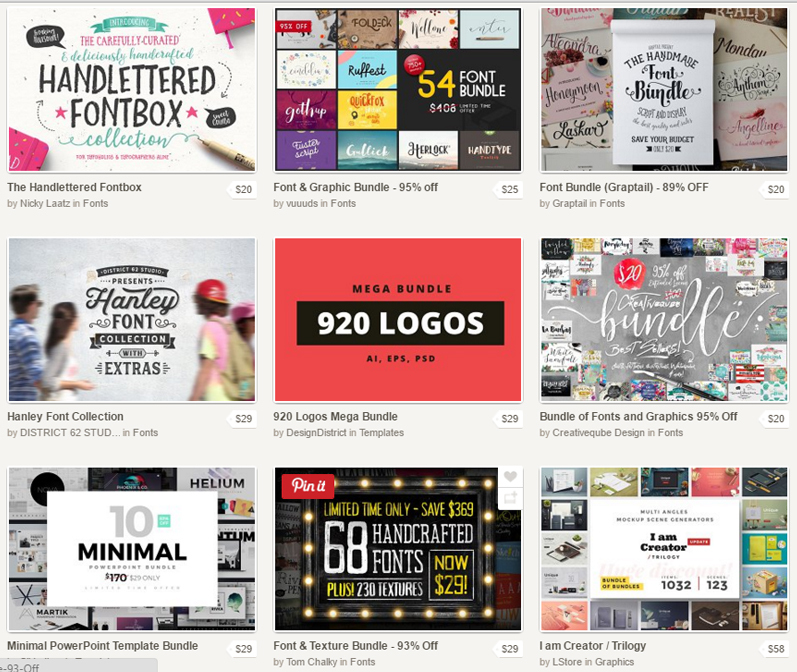 There are many websites that offer FREE designing resources like fonts and graphics, and stock photos, and some of them specify that COMMERCIAL USE is OK with attribution. If that is the case, you're good, as long as you give credit. Things get tricky on Society 6 because the "description box" works as a tag box, and get's cut off from view after few lines. So technically, there is no place you can put the attribution, and therefore the use of those free images becomes illegal. And if you don't have a proper license to show to anyone who asks for it, you're in trouble. 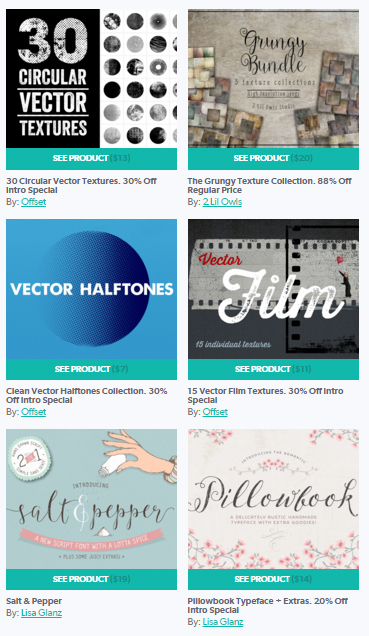 On top of that, some free design resources website only offer FREE stuff for personal use, and not re-sale. I do have a yearly subscription to freepik.com and I occasionally download stuff from there, but my stuff is properly licensed. If you download stuff from sites like FREEPIK.COM for FREE, and then you use that stuff in your Society6/RedBubble/other similar site designs, you are doing something illegal. Make sure all of the stuff you use in your designs (the ones you sale, not the personal-use ones), is PROPERLY LICENSED. I have The Hungry Jpeg on speed-dial. Or, bookmarked, whatever. 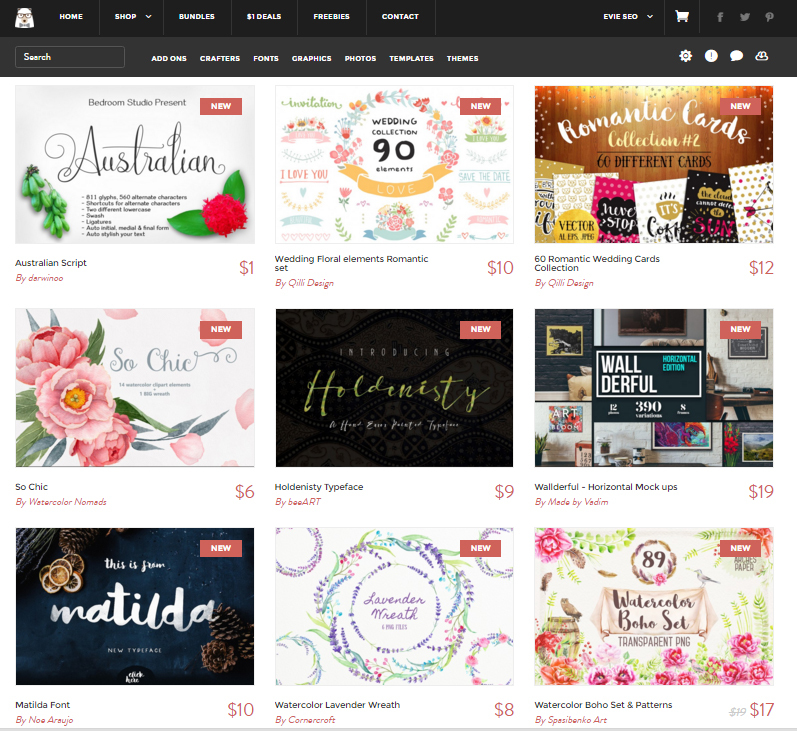 There are some really awesome sites out there that sell affordable and amazing graphic and font packages, either single themed or bundled up into monthly or bi-weekly packages. The resources you purchase there will always be available for you to download, even if you accidentally delete them from your computer. And of course, you can use them for commercial use. And please remember, it is never OK to use images you found on Google or any other images that you have no rights to use (i.e. proper commercial license). Not knowing any better doesn't make it right. As all of you know, big chunk of my designs are book quotes designs. Sometimes I design quotes from classic books, like Pride and Prejudice or Jane Eyre. and sometimes I design stuff from newly released, hot-off-the-press books, or just general favorites that are not yet oldies and goodies. And I know a lot of you are wondering what is OKAY to do, and what is ILLEGAL. So let me clear it up for you a bit, or at last try do so. - use quotes from books that are in the PUBLIC DOMAIN (you can look up which ones are easily on google). 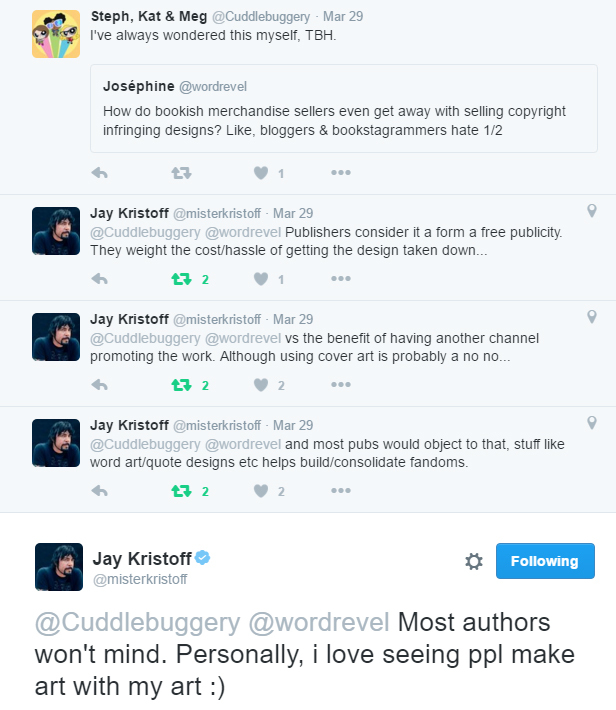 - use quotes with permission from the author, because as Jay Kristoff once explained, most publishers consider such graphics/merch a free publicity that helps support the authors. What I do, is I try to ALWAYS ask the permission from the author before setting out to make a design. Because it's safer that way, and because those quotes don't belong to me and I consider this common courtesy. On top of that, I also feel obliged to offer free products to the authors, if I design something with their quotes. Again, I think it's common courtesy and the bare minimum I can do to show my appreciation of them allowing me to use their quotes. Authors have been extremely supportive of my designs and I feel super blessed to be able to do what I do! I don't want to be stressing over people copying my designs any more than you want be stressing over "accidentally" plagiarising someone. It's nothing pleasant do deal with, whether you're on one end of the spectrum or another. So I guess what I am trying to encourage with my today's post is ORIGINALITY. It matters more than you know.